Yo, i got a whole load of people asking for my compression settings on my latest montage and "Its rob" gave me the idea to post here instead of sending individual PM's so here they are! 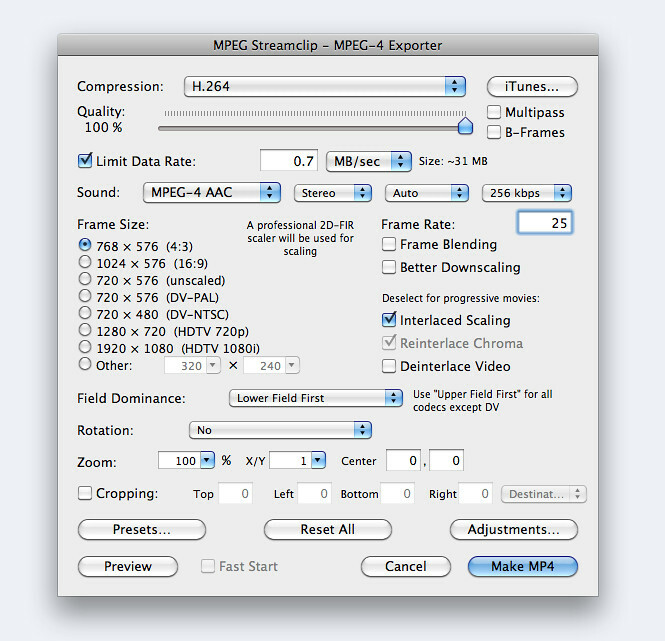 For all you NTSC users just change, the frame rate to 30 and the frame size to "(DV-NTSC)" of course. Also the reason i don't have deinterlaced ticked is because I deinterlace in my editor, this is advisable but if you don't want to bother with this just tick that box. might seem like a stupid question, but could you explain why you use lower field first instead of upper?